Like much of thoust story material gathered here upon thou Isle 'O Nofendersville, I was perusing the Car and Driver magazine's weekly selections via Thy NFB Newsline for The Blind telephone service. When ironically, as portions of NW Oregon were getting hammered by a late Monstrous Snowstorm February 25th, I was listening to the untold gems going on Display at the renown Peterson Automotive Museum in Sunny, Warm Californ-I-a'. As the second precious automobile in the story that caught my Attenzione', tripping Thy No. 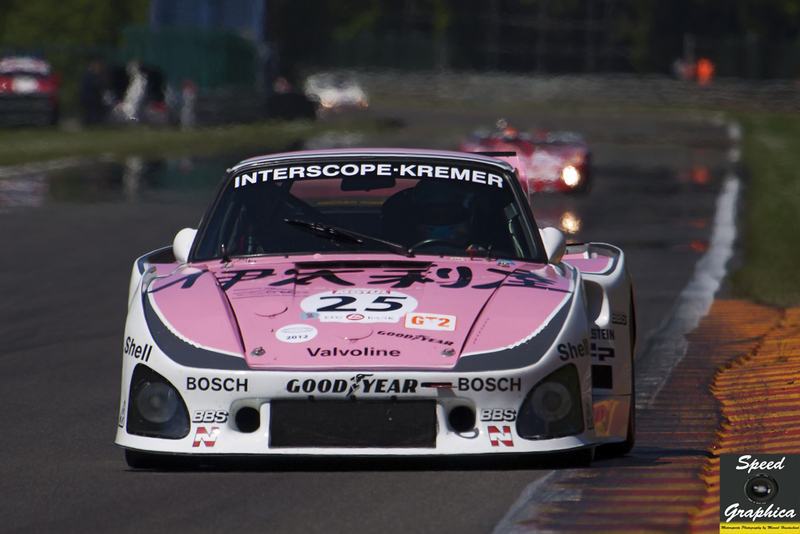 4 Wire - was the mention of a veritable Porsche 935 with a sordid history! 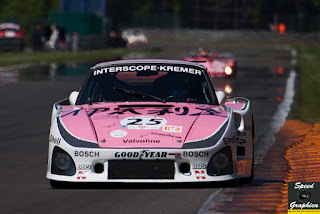 This car in Questione is none other than the 1979 Kremer Porsche 935 K3 which as many will know, won the prestigious 24 Heurs du Mans that very same year with Klaus Ludwig and Don & Bill Whittington at its controls. I say sordid history, since this car was involved in a legal Tug 'O War which the Indianapolis Motor Speedway's then Hall of Fame Museum won outright in court, ultimately prevailing in legal custody of the Le Mans winning Porsche vs. Don Whittington claiming he'd only loaned the car to IMS. Having had the good fortune, especially when I could still see the car somewhat, I viewed it on display at Mother Speedway's Hall of Fame museo' Wayback in the Autumn of Twenty-ten, when attending that year's MotoGP race at Indianapolis, as part of my Triple Centennial outings to Mother Speedway, circa 2009-11. 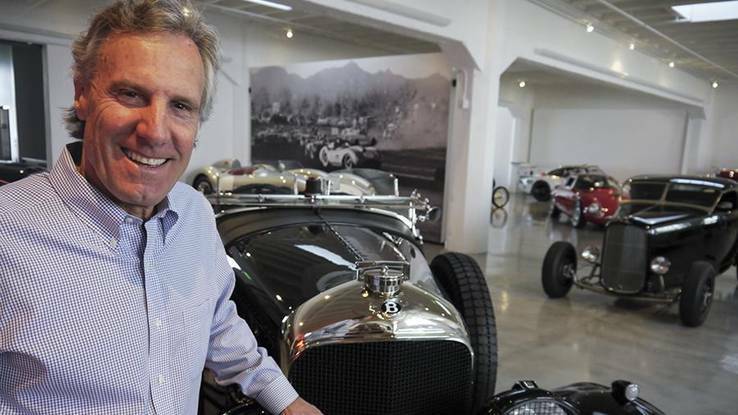 Thus I was surprised to read that the car is now owned by serious Car Collector and Co-Founder of the Peterson Automotive Museum's Bruce Meyer. For which I can only ascertain the car was sold "quietly" to Meyer sometime between 2011-13, unless I missed another Memo? As Meyer reputedly made his Fortune by first building up the family's business Gaery Beverly Hills over 30yrs, before selling this business to devote his energies to his newest endeavour, his Meyer Pacific Real Estate Investment & Development company in the 1990's. Apparently Bruce has been an Avid RevHead' since his early Childhood years while growing up in California. Having ridden motorcycles clandestinely during College before caught in the act, which was frowned upon by his parents. Whilst Dale Whittington was the youngest of the only Trio of Brothers to ever Qualify for the Indianapolis 500 IN 1982, albeit not completing a single lap in the race. 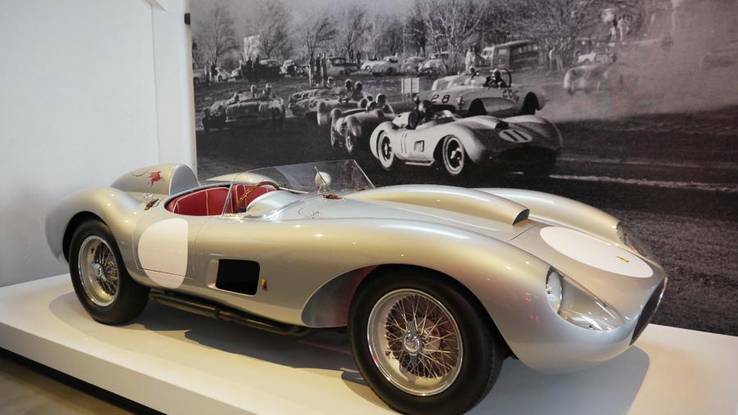 Yet it's Mr. Meyer's 1957 Ferrari 250 TRC Testa Rossa that's not only the Star of the Peterson Automotive Museum's Winning Numbers Exhibit, which Y'all can check out thru January, 2020. But presumably also his Numero Uno prized vehicle in his stellar collection! Whilst ironically, it's the very same 2013 Autoweek article about his prized Ferrari racecar that notes the 935 K3 residing in his formable collection, which even includes a 1929 "Unlimited" Hydroplane powered by one of those Miller motors that once ruled Thee Brickyard! And when having "My Gal" Lucy', my ARSE-STEAMED Screen Reader read me said article, Klaxon Bells began Blaring loudly when I heard the named Zwolsman mentioned as the previous owner of said prestigious Ferrari. Hang on a My-nute', I know that name from thou Good 'Ol Chump Carz' Dazes! As I recall Charles Zwolsman, Jr. racing the entire '06 Champ Car World Series season for Eric Bachelart's Conquest Racing team. As the Junior Zwolsman won the 2005 Toyota Atlantic Championship before graduating to Champ Cars, whilst his father was a Sports Car racer during the 1980's, before perishing behind Bars in 2011.